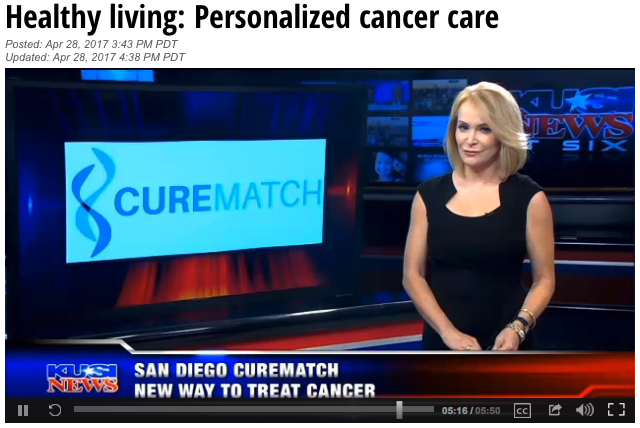 April 28, 2017 – KUSI News featured CureMatch in its weekly segment “Healthy Living.” Anchor Sandra Mass discusses the benefits of CureMatch’s personalized approach to cancer therapy, and interviews CureMatch co-founders Blaise Barrelet and Dr. Razelle Kurzrock. CureMatch, the UCSD Moores Cancer Center, and the San Diego Supercomputer Center are all highlighted in the segment. 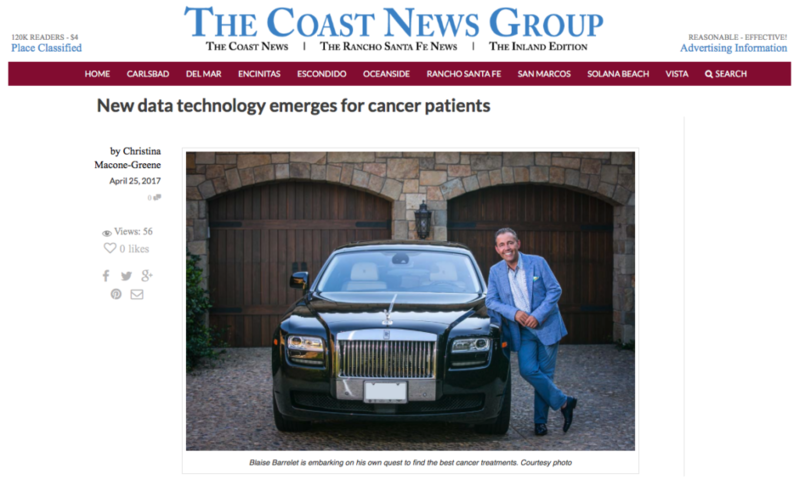 An article appeared in today's Coast News which chronicles Blaise Barrelet's journey from cancer patient to CureMatch CEO, and shares that the CureMatch personalized medicine approach is online and ready. Actionable insights based upon genomics are now available to the best oncologists across the country to quickly match up combination drug treatments using the most in-depth custom curated databases of drugs and cancer mutations available. 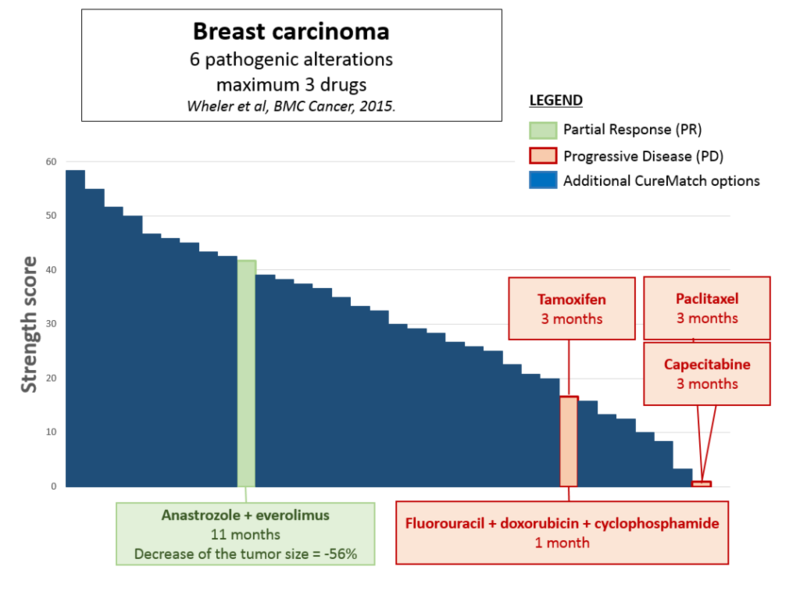 In this case study, a retrospective analysis was performed using data from a metastatic breast cancer patient. The patient was given five lines of treatment; the first four quickly failed and the fifth was highly successful. 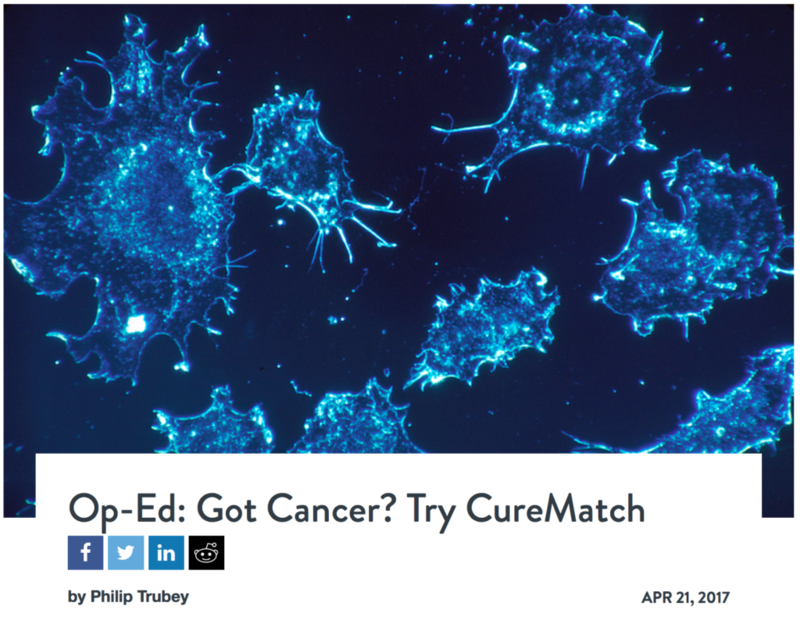 The analysis shows that CureMatch can correctly rank the efficacy of treatment options, and illustrates multiple benefits of using the CureMatch analysis. Phil Trubey, founder of the successful computer security company WebSense (now ForcePoint), has written an op-ed in the Rancho Santa Fe Post entitled “Got Cancer? Try CureMatch.” The article discusses the benefits of personalized medicine and the CureMatch report.